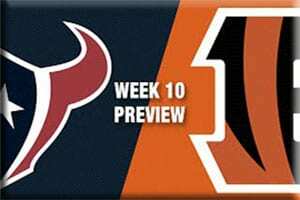 Week 10 brings an odd game to Monday Night Football, as the Cincinnati Bengals try to stay perfect at home and the Houston Texans aim to stay in the race for the AFC South divisional crown. This is odd because the Bengals are still undefeated and because Houston still has a shot at the playoffs. In addition, Andy Dalton will look to continue his torrid 2015 run against a team that he’s historically struggled against. Cincy and Houston have met up nine times in NFL history, with the Texans owning the edge, 5-4. The Bengals have the most recent win in 2014 with a 22-13 win, while Houston had claimed the previous five games. Andy Dalton specifically had difficulty with J.J. Watt and Houston’s defense in all of those games (including playoffs), but last year he did enough to help his team finally get over the hump. This is one key reason why the psychological effect doesn’t really play in this meeting, as Dalton and co. have already beaten Houston now. Still, the Texans have dominated this matchup over the past few years and that’s certainly worth noting. The Texans have bounced around at quarterback, lost stud rusher Arian Foster and haven’t been able to field a consistent defense around star defensive end, J.J. Watt. A team that should be running the ball is throwing it far too much, but the Texans do have star receiver DeAndre Hopkins to hang their hat on. Unfortunately they don’t really have a quarterback, as Brian Hoyer is just holding down the fort until next year’s answer arrives. As bad as it’s been, the Texans are still 3-5 and somehow in contention for their division. That gives them hope and reason to fight hard, while being the first team to take down the Bengals in 2015, and doing it on Monday Night Football, has to be great motivation. The Bengals are a perfect 8-0 and have gotten to this point thanks to elite versatility and terrific balance. Andy Dalton playing the season of his life hasn’t hurt, as The Red Rifle has put up 18 touchdowns and just four picks in a year where he’s really only had one off game (tight win over the Steelers). He has earned that, though, and he bounced back right away the next week with a huge performance in a win over the Browns. 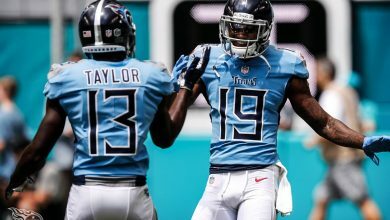 He’s struggled against the Texans in his history in the league, but he did get a win over them last year and seems to be playing near flawless ball this season. The big thing working for the Bengals is they know how to win in a multitude of ways. They’ve blown teams out, they’ve won shootouts and they’ve closed games late. They even came back down big against the Seahawks at home. They’re just a tough team to count out of any matchup – especially at home against a bad team. The NFL Moneyline odds at BetOnline have the Cincinnati Bengals are at -580 and with the point spread the Houston Texans are getting +10.5. The Bengals are the easy straight up pick and there isn’t much though that needs to be put into it. Houston has one star offensive player, one star defensive player and very little balance. 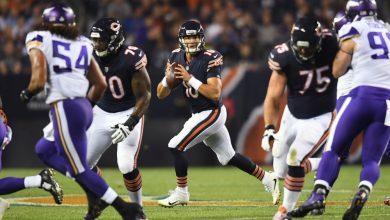 The Bengals are loaded and have their quarterback playing the best ball he’s seen, while they also have two solid running backs and a very solid and balanced defense. They’re also at home. 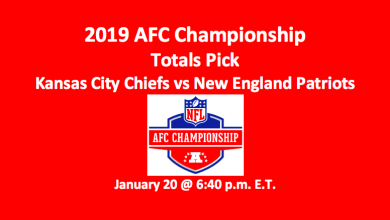 The key is figuring out if Cincy can cover a slightly gaudy 10.5 point spread. If you look at some of Houston’s losses in 2015, it doesn’t feel like it’s asking too much. After all, Houston tends to fall behind early and has lost be 10+ points five times in 2015. The Bengals have also done a solid job taking advantage of a clear mismatch and have beaten up inferior teams fairly well, winning four games by 10+ points. Of all the possible issues here, the biggest problem is Houston’s road performances. They did beat the Jaguars on the road but otherwise have gotten destroyed away from home. Houston has also been atrocious ATS on MNF (0-7 in last seven tries) and so far this year they’re just 1-3-1 ATS against teams with winning records. It doesn’t look good for the Texans this week. I think we’re definitely looking at a mismatch here and with Cincy at home, this one could be over early. I like the Bengals straight up and I think they’ll cover, as well.